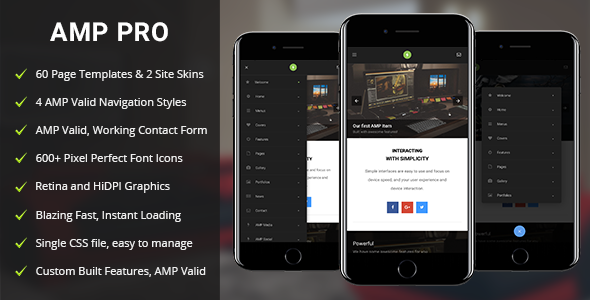 Fastest Mobile Template on the Market powered by the newest framework designed by Google. The wonderful AMP. It’s 100% valid, and works like a charm! Loads instantly and powered by a tone of features!